Misteria Paschalia (‘Easter Mysteries’) is one of the most important classical European festivals dedicated to early music. The Festival, running each Easter, celebrates its 10th anniversary this year. The previous nine festivals have featured almost 70 concerts by over 160 leading European ensembles and soloists specialising in historical performances. The music is connected to the Holy Week and Easter, performed by acknowledged masters and outstanding interpreters of the historical trend. Every year, the Misteria Paschalia Festival receives high praise from critics, and it is regularly listed among the best cultural events in Poland. This success and the growing interest from the public can be explained by its excellent reputation, the unique repertoire reflecting the ambience of the Holy Week and Easter and the outstanding interpretations. 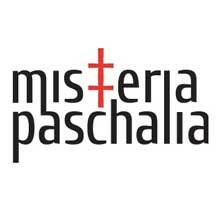 The 10th Misteria Paschalia festival will begin on the 25th of March and last for a week – until Easter Sunday (the 31st of March).